The Shopping Channel has a new promo code! 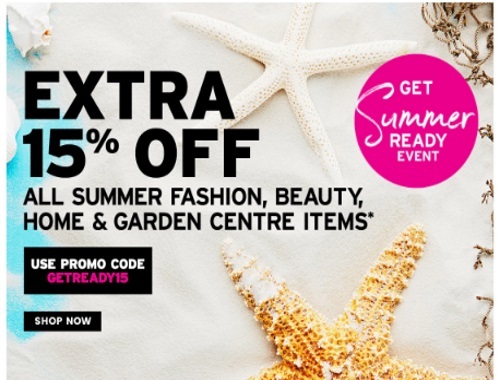 Save an extra 15% off all summer fashion, beauty, home and garden centre items! Enter the promo code GETREADY15 at checkout to get the discount. Offer is valid May 29-June 1, 2017.